Life insurance serves as an important part of financial planning for every family. Proceeds from a life insurance policy can pay off the mortgage, cover college expenses and provide an income for the remaining spouse if a family’s breadwinner should meet an untimely demise. Gerber Life Insurance has also taken life insurance protection one step further, offering insurance products to cover children and providing a policy that grows with them. The Gerber Life Insurance Company was established in 1967 to help young parents protect their families and provide them with financial security. Gerber Life Insurance is an affiliate of baby food manufacturer Gerber Products Company, and the two organizations share the common goal of helping parents raise healthy and happy children. Gerber Life focuses on bringing specialized life insurance and other products to its customers at affordable prices. Gerber Life provides life insurance in the United States and Canada as well as Puerto Rico. The company has over 3 million life insurance policies totaling about $37 billion of in-force life insurance. Gerber Life has received an “A” (Excellent) rating from A.M. Best, an independent rating agency. A.M. Best rated Gerber Life on its financial stability, integrity and management. The company’s rating has improved due to its growing base of premiums and improvements in the performance of its investments over the last two years. Gerber Life was acquired by Nestlé Holdings Inc. in 2007, and the company has benefited from Nestlé’s financial strength. The Gerber Company has established the Gerber Foundation, with the goal of enhancing the quality of life for young children and infants. The foundation focuses on using grant money to fund research projects and support organizations focused on solving problems in the children’s health and nutritional areas. The foundation also provides the Gerber Foundation scholarship and the David Gerber Sr. Medallion scholarship to help students fund their college education. The scholarships are competitive, and students must be able to demonstrate a solid background of academic achievement. 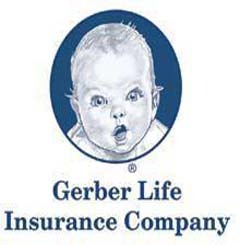 Gerber Life offers several different types of life insurance products. The company offers some products that are unique, since it caters to young families. The Grow Up Plan allows parents to start an insurance policy for a child, providing as much as $50,000 insurance when the child is young. The coverage also doubles to $100,000 when the child turns 18, with no increase in premium. Since the policy is started when the child is so young, parents effectively receive an estimated 60% premium discount compared to the price the child would pay for the same policy as an adult. Additionally, the child has opportunities to add more coverage as needed once he reaches adulthood. Gerber Life makes it easy for customers to get the help they need. The Gerber website provides information on all of its product offerings, provides answers to any questions and allows customers to adjust their coverage as their families grow and evolve. The company has an online service center, allowing customers to connect with them at anytime, 24 hours a day. Additionally, the website allows customers to view and pay invoices, make any changes necessary to existing coverage or file a new claim, all online and available 24 hours, every day. The website also provides answers to frequently asked questions regarding policies, and provides a rapid response line for customers to get quick information on payment of policy premiums. Additionally, the website provides a directory for all customer service telephone numbers and addresses for payment. Gerber Life has a utility on its website to help consumers compare adult insurance plans side-by-side, along with an information chart to find the right plan to fit your family’s needs. Additionally, Gerber’s online guide to understanding insurance can help answer a lot of initial questions that might come up during the insurance policy shopping process. The face of the Gerber baby just might be the most recognized baby on the globe. The Gerber baby was drawn by a Connecticut artist named Dorothy Smith, as a respondent to Gerber’s contest to have consumers help decide what a Gerber baby looks like. The Gerber baby started showing up on all of Gerber’s baby food products in 1920, and Gerber made the picture its official trademark starting in 1931. The Ward Group placed Gerber Life Insurance on its year 2000 list of the top 50 performing life and health companies in the United States. The Ward group specializes in operational consulting and benchmarking services for the insurance industry. Thinking about life insurance might seem like a macabre task, but it makes sense to plan for your family’s financial future by making sure that important expenses are covered if something should happen. Money from a life insurance policy can be used to cover funeral expenses, medical costs, pay off a mortgage and put the kids through college if the main breadwinner of the family dies. Several types of life insurance are available to fit just about any type of family needs and budget but you do need to shop around and find the best coverage for your unique need. Most people opt for a life insurance comparison search online where they can learn about the different types of life insurance available and the pros and cons of each. Gerber Life and many other life insurance companies offer quotes online so try to compare at least a handful of providers before selecting a policy. Need Life Insurance? Compare Life Insurance Quotes and Find affordable life insurance coverage today!